Khatami - Professor Gholamreza Khatami, M.D. Home جایزه پورسینا برندگان در سال 2007 Khatami - Professor Gholamreza Khatami, M.D. M.D: from Tehran University of Medical Science 1949-1955. Pediatrics: from Tehran University of Medical Science 1960 – 1963. Pediatrics Gastroenterology: from Edinbrough University 1973-1974. Head of pediatrics Gastroenterology unit. 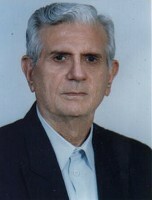 President of Iranian society of pediatrics gastroenterology and hepatology. Member of (Board of director) society of Breastfeeding promotion. President of Iranian scientific society of children nutrition.